Enrique Armijo, Associate Dean for Academic Affairs, Associate Professor of Law, and an Affiliate Fellow of the Yale Law School Information Society Project, teaches and researches in the areas of the First Amendment, constitutional law, torts, administrative law, media and internet law, and international freedom of expression. Professor Armijo’s current scholarship addresses the interaction between new technologies and free speech. His scholarly work has recently appeared in the Boston College Law Review, the Washington and Lee Law Review, the North Carolina Law Review, the peer-reviewed Constitutional Commentary, Communication Law and Policy, and Political Science Quarterly, and other journals. His work has been cited by the Federal Communications Commission, the Federal Election Commission, and other agencies, and in testimony before the U.S. Senate Committee on Governmental Affairs. He also has provided advice on media and internet law reform to governments, stakeholders and NGOs located around the world, including in Africa, Asia and the Middle East. Most recently, he has worked on media and communications reform projects in Myanmar (Burma) for the U.S. Department of State with Annenberg’s Center for Global Communications Studies at the University of Pennsylvania. His commentaries on these and other topics have appeared on NPR's On the Media, Voice of America , WUNC-FM, and Bloomberg Law, and in print in the Atlanta Journal-Constitution, Richmond Times-Dispatch, Charlotte Observer, Raleigh News and Observer, and Greensboro News and Record, as well as other outlets. Prior to joining Elon Law, Armijo advised journalists, news organizations and trade associations on media law-related issues. As an appellate lawyer, Armijo briefed cases in the U.S. Supreme Court and briefed or argued cases in the federal and state courts of appeal. 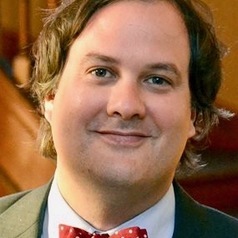 His appellate work included cases concerning broadcast indecency and the First Amendment (FCC v Fox Television Stations, S. Ct. 2011), Guantanamo detainees’ rights to habeas corpus (Boumediene v. Bush, S. Ct. 2008), and foreign sovereign immunity for cultural property (Odyssey Marine Exploration v. Spain, S. Ct. 2012).Before entering private practice, Armijo was a Visiting Scholar at the Programme for Comparative Media Law and Policy at the University of Oxford’s Centre for Socio-Legal Studies. There he worked on international media law projects and comparative research on media ownership regulation in the U.S. and Europe.